So Colgate came up with an idea to remind sugar eaters to brush, while still eating their sugar. "Colgate promotional staff in Thailand gave out ice creams and lollipops. 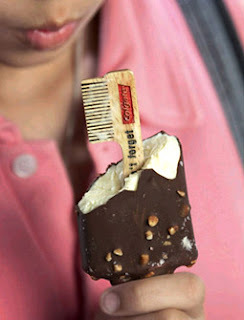 The stick carrying the sweet goods is shaped like a toothbrush and carries the message "Don't forget" along with Colgate branding. This is only revealed once the ice cream or lollipop has been eaten."